The season of advent comes essential for it reminds us the Son of God becoming man for us and we, the believers of Christ prepare for His coming in glory. 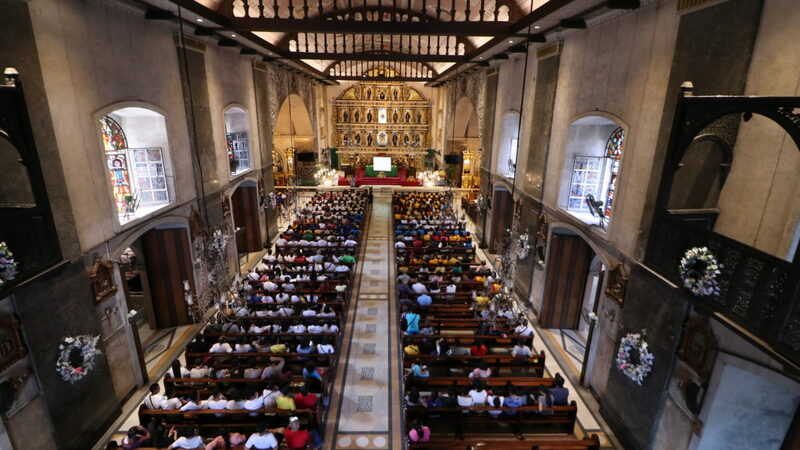 In preparation for the celebration of the Nativity of Jesus, the Basilica Minore del Santo Niño de Cebu (BMSN) conducts an advent recollection participated by the various organizations of the church. The activity is graced with the presence of Rev. Fr. Cresenciano Ubod, head of the Cebu Archdiocesan Prison Apostolate (CAPA). A soul-awakening, entertaining and meaningful talk by Fr.Ubod created an atmosphere conducive for spiritual learning and meditation. 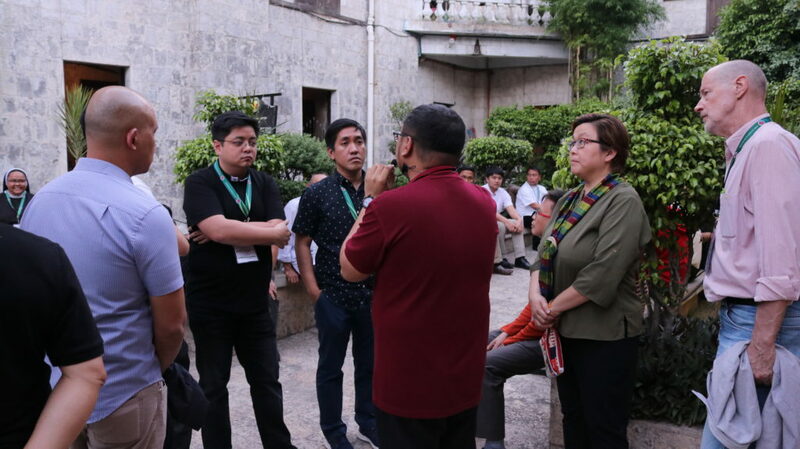 Participants including the Cofradia del Sto. Niño, Cofradia dela Consolacion, Lectors & Cantors Ministry, Knights of Sto. 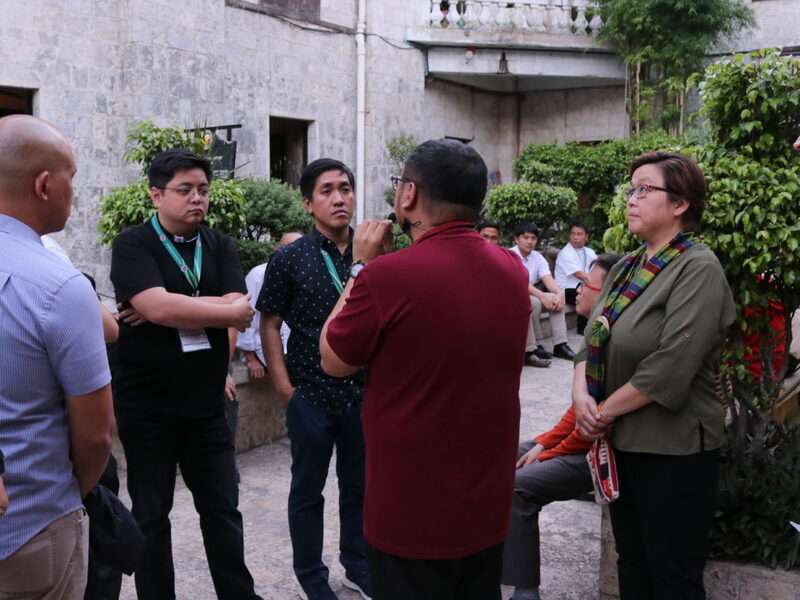 Niño (Acolytes), Basilica Pilgrims Assistant Volunteers, First Aid Team and etc., experienced a brief but applicable recollection that strengthens not only their individual transformation but also the organizations where they belong. One of the main highlights of Fr. 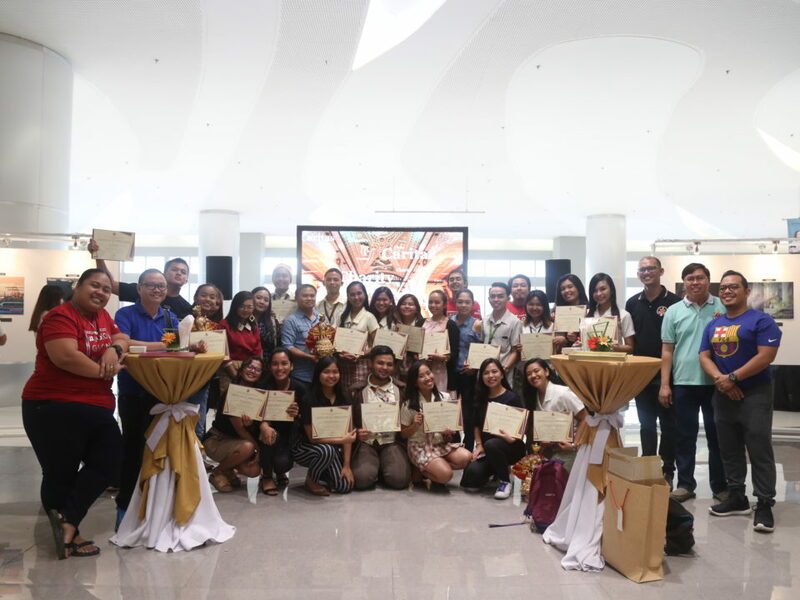 Ubod’s talk is about good leadership which was emphasized on how to become a leader, a servant and a servant-leader. He also added that to live and share Christ is the new evangelization. According to Fr. 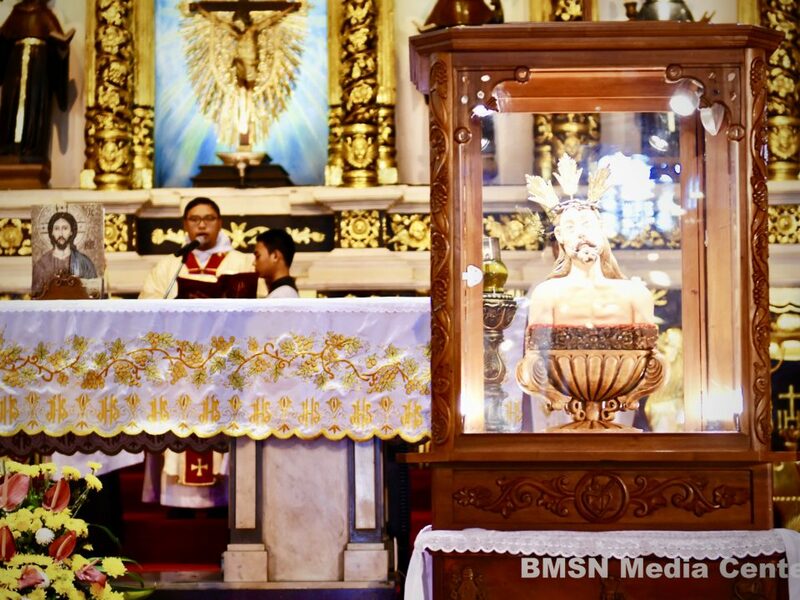 Ubod, it is a very humbling experience for him to share and at the same time very strengthening to his vocation and inspiring because people inside the jail are very passionate in attending liturgical celebrations and are actively participating. Prisoners show the real attitude of hungry for the word of God and for the presence of God while they are inside the jail. 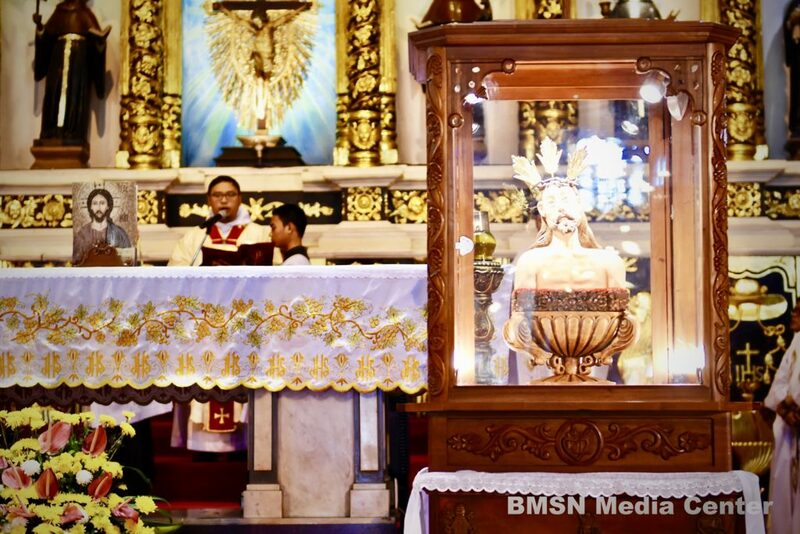 The recollection serves as an avenue for people to cleanse their souls, be with God’s presence and surrender themselves to God fully through service. 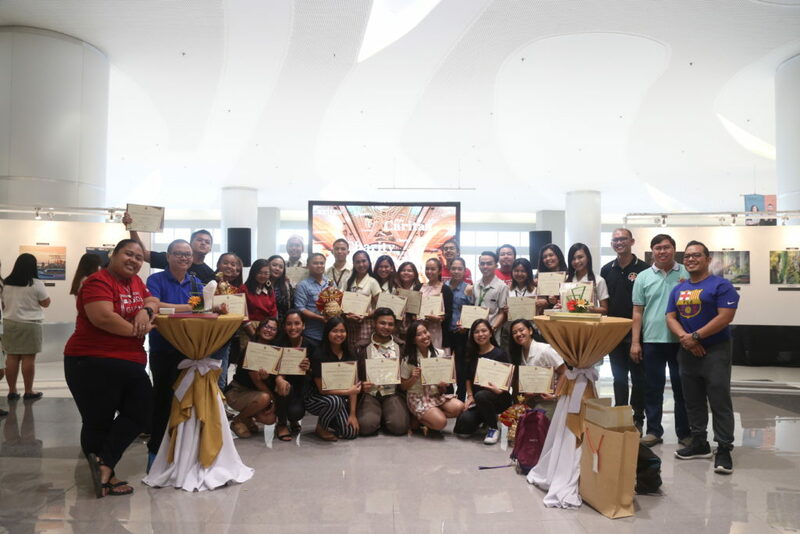 The activity ended giving the participants many life lessons that will be beneficial to all organizations of the church; they will always instill in their hearts what is it to be a leader, a servant and a servant-leader through a genuine service.